Having served as CEO of four technology startup companies, Dr. James Hendren, chairman of the Venture Center, is well aware of the impact of science, mathematics, engineering, and technology (STEM) education on the state’s economy. Already an active volunteer in promoting STEM education, Hendren is continuing to give back by joining the Science Dean’s Council at the University of Arkansas at Little Rock. While Hendren led Arkansas Systems, Inc., one of the state’s first high-tech companies that started in 1977, he often looked to UA Little Rock for a source of employees. Hendren always had time to give back to his community. 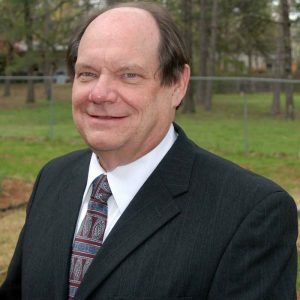 He served on the Arkansas Science and Technology Authority board of directors and the Arkansas Economic Development Commission, where he led the charge for changing the economic development strategies to include high-tech startup companies. At UA Little Rock, Hendren is an avid volunteer serving in a variety of capacities, including serving as the former executive-in-residence for the College of Information Sciences and System Engineering for 10 years. He also uses his extensive experience as an entrepreneur to mentor students. Every year, he speaks to students taking entrepreneur classes in the UA Little Rock College of Business. As chairman of Accelerate Arkansas, Hendren spearheaded efforts to produce an excellent environment to encourage startup companies in Arkansas. In 2015, UA Little Rock awarded Hendren the prestigious Fribourgh Award. 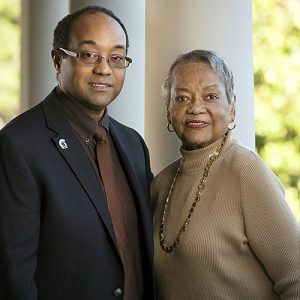 The award is named after the late Dr. James Fribourgh, professor emeritus of UA Little Rock, and recognizes individuals who made considerable contributions to the state through the disciplines of mathematics and science.